Bob Bowné, early bird, greets the dawn at the lighthouse in Sandy Hook. By Bob Bowné. March 5, 2016. Sandy Hook., NJ. Re-post. © Special to Blogfinger. 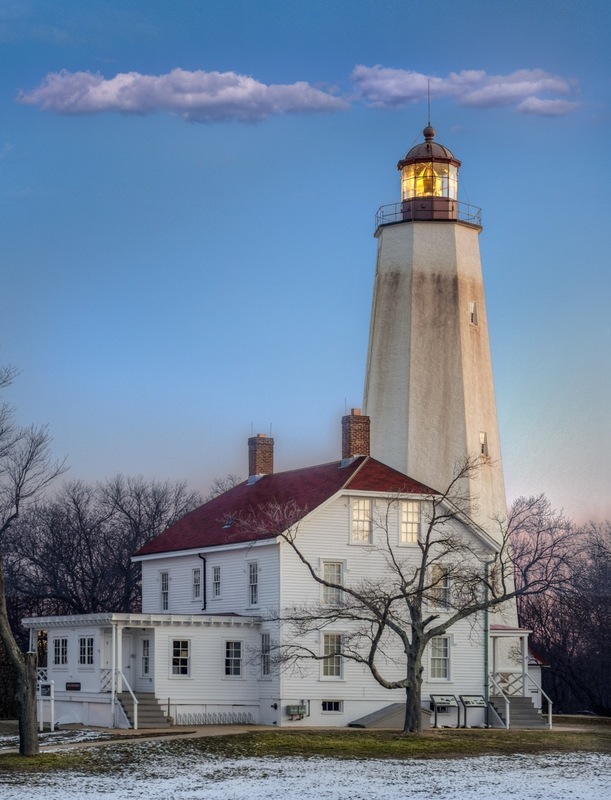 Funny, I left the house at 5 a.m. to drive up to Sandy Hook to shoot the lighthouse today before the sun came up. I wanted the the lighthouse to be lit, so it had to be an early visit. “Then later today I looked at the Blogfinger header photo, and if I am not mistaken, that would be the houses on the bay at Fort Hancock at the tip of Sandy Hook.